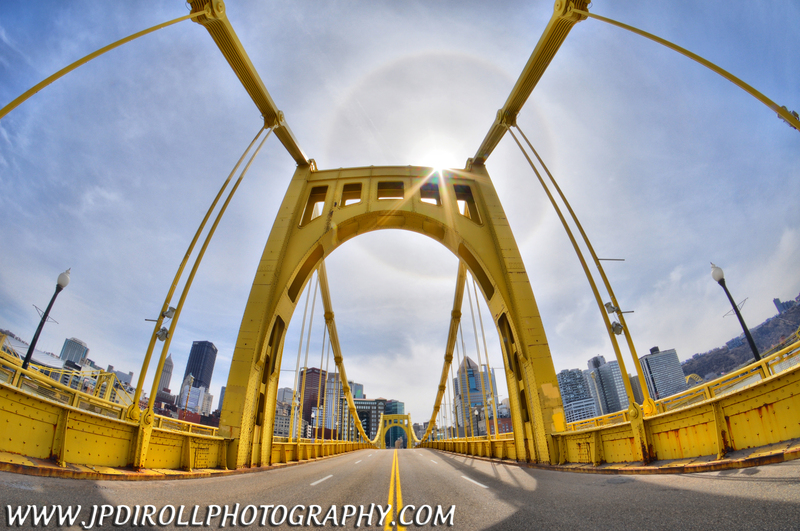 Pittsburgh is a city of many vantage points. 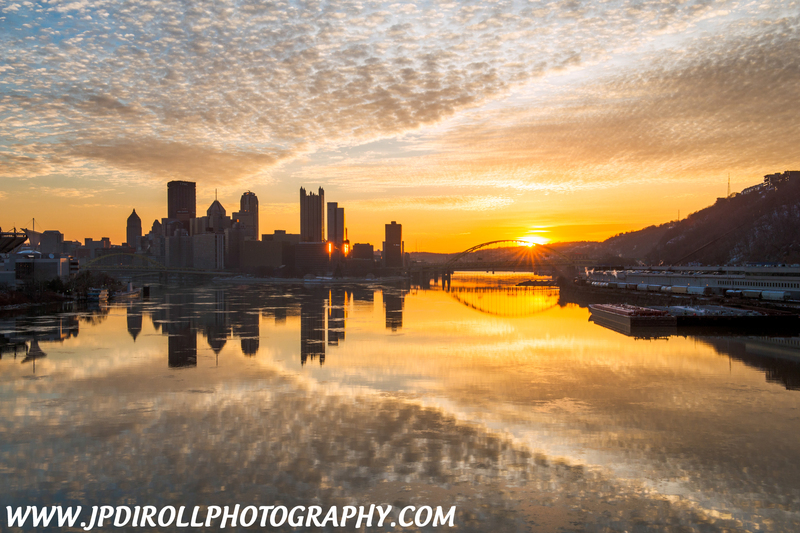 From the classic view from the overlooks of Mount Washington to the intimate views of the city along the North Shore, Pittsburgh is a skyline photographer’s dream. But what about the photographer, such as myself, who also feels very in tune with nature and loves the landscape genre of photography? Enter the West End Overlook. 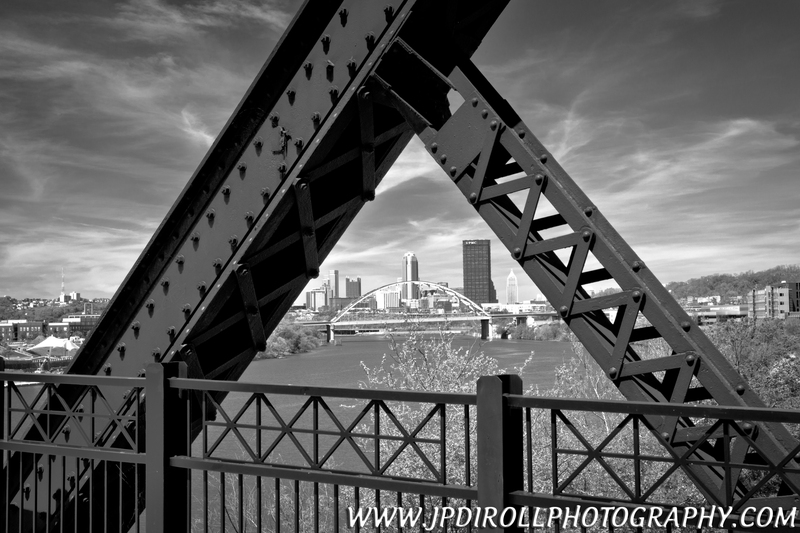 I am a Pittsburgh photographer and thoroughly enjoy the capturing the skyline on camera. As I mentioned above, though, I very much love landscape photography and the West End Overlook affords me the best of both worlds. I posted the photo above to my Facebook page yesterday and mentioned that this location is rapidly become my go to spot for sunrise sessions. One small reason I love it here is my ability to include enough sky in my images to capture that beautiful color that ensues as the sun begins to crest the horizon without overcrowding the photo with that very same sky. The main reason, however, is my ability to meld a cityscape photograph with a landscape photograph. A good landscape photograph will, generally speaking, be composed of an interesting foreground, middle ground, and background. The same is true of most photos. 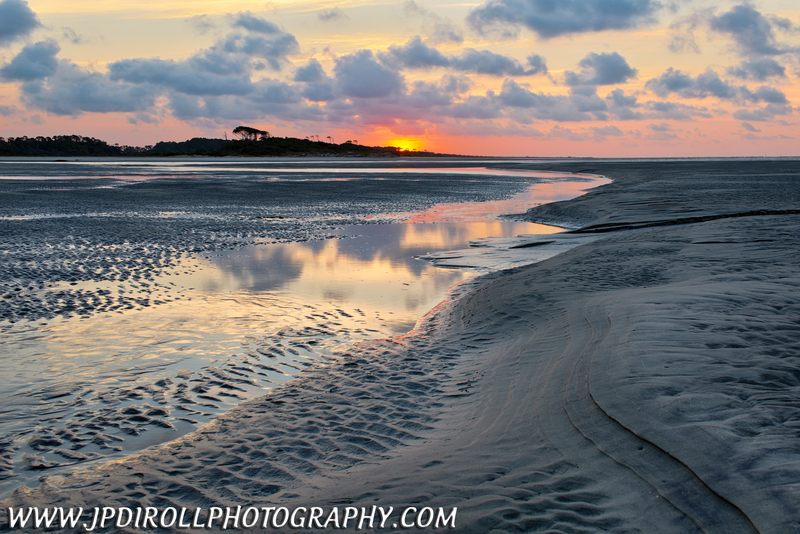 For me and my style of photography, the foreground is paramount when composing an image. If I can’t grab the viewers attention with a strong foreground, then what motivation are they going to have to let their eye travel around the rest of the image? This is where the West End sets itself apart, in my opinion, from other locations throughout the city. Notice the rocks? They, combined with the trees and grass (or snow covered grass), make great foreground elements. They form shapes and lines that really can anchor an image. Take the top photo for example – the rocks jut out in two different places, each forming a triangle that points almost directly at the skyline which, though small, is the true subject of the photograph. Distance is another important factor in my appeal to the West End. Have you ever looked at a photograph of mountains and thought how small they look compared to other elements in the photo? You know they are big, yet they seem so tiny. There’s a good chance that photo was taken with a wide angle lens situated very near to the foreground element which exacerbates the perceived disparity in size. Looking at the two photos here, you will notice a similar quality. Obviously the rocks in my foreground are in reality much smaller than a skyscraper. But with a wide angle lens and a careful composition, I have made the city look much smaller than it truly is. Which is exactly what I want. I want my foreground to mesh with the skyline taking on the role of a landscape photograph. I want the buildings to be recognizable – present but not prominent. I want them to take on the role of mountain peaks in the distance. 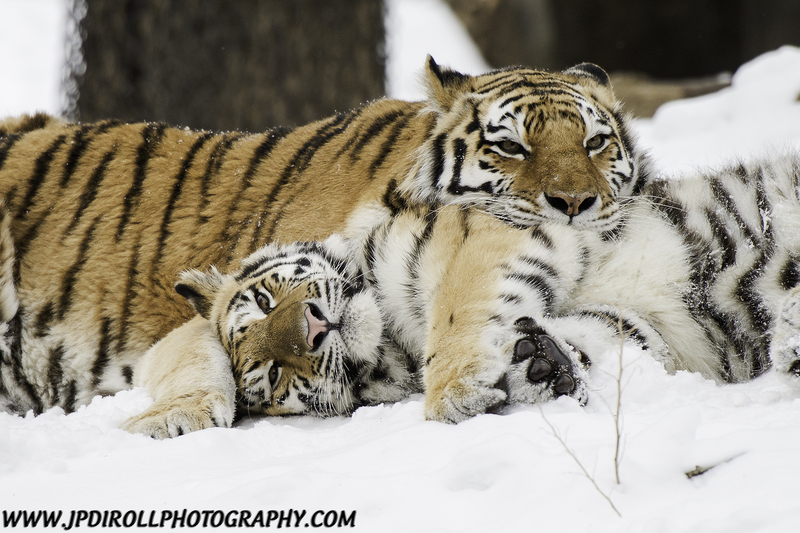 Ever since I can remember I have loved wildlife. Growing up I wanted to be a either a zoologist or a marine biologist. All throughout high school my passion for wildlife was present, if only a little less prevalent. I was really good at math and physics, however, so people said I should be an engineer. I listened. And even though I became that engineer people recommended I become, I held on to my affinity for wildlife. In fact, after college when I picked up my first camera in 2007, that affinity grew. 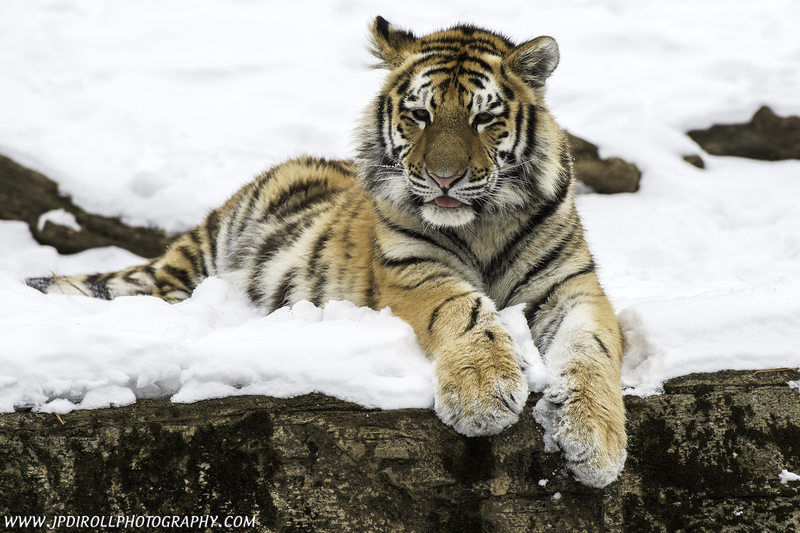 It was the zoo and its animals, not the Pittsburgh skyline, that I had a connection with as my interest in photography began to bud. I would go 15 or so times a year and spend hours going back and forth between exhibits. 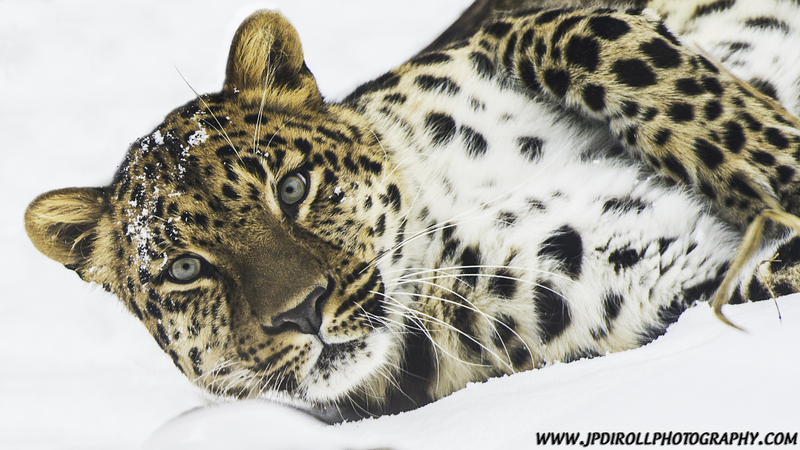 My favorite animal(s) generally speaking are the big cats so I spend the most time at their habitats – lions, leopards, and tigers primarily which is great because I have access to them. When you spend enough time at the exhibits like I do, you’ll tend to have better luck seeing them up and moving about as opposed to laying there like a lump, which is all too often the case. I also learned that winter is the BEST time to go. The animals are active, the snow (if there is any and hopefully there is otherwise backgrounds for photos tend to be very….well BLEH!) provides a calm scene especially if it’s falling, and it’s empty! I can’t tell you how many times over the years I’ve been the only one at the zoo, or so it would seem at least. Unfortunately, though, my trips to the zoo have dwindled in the past two years. Life has a way of taking over and we somehow forget to make time for things that are important to us. 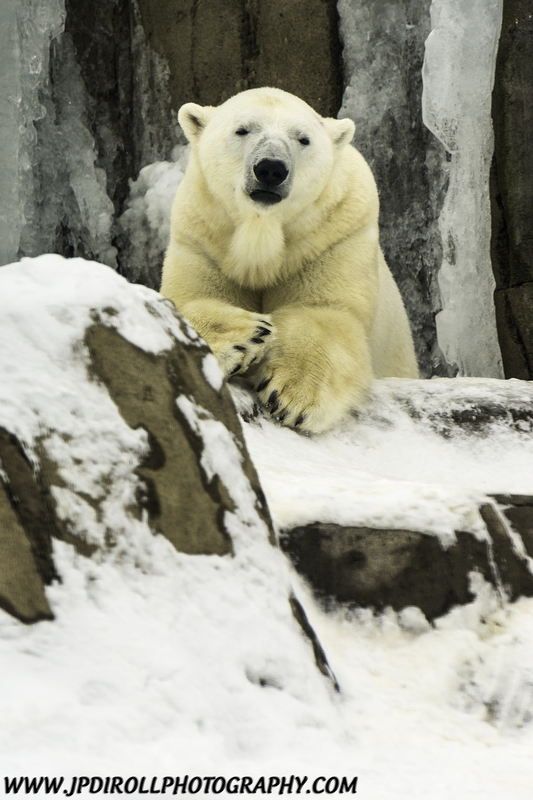 I wanted to put that to an end so last Friday, Valentine’s Day, I set out for the zoo while my wife was at work. It was cold and snowy and I was all alone, just how I like it. I figured maybe there’s no better day than Valentine’s Day to reconnect with an old friend. I was right! This past weekend I celebrated a bit of a milestone birthday – I turned 30 years old on Saturday. Ancient, I know. I was apprehensive at first, I must admit. But trite as it may be to say, I suppose age really is just a number. I shouldn’t measure life by the number of years I have lived but rather how I’ve lived those years and what I’ve accomplished in them. After 30 years, I have a loving and supportive wife, a beautiful home, a wonderful family, and I get to do what I love every day while making money doing it. So why should I not welcome the next 30 years with open arms? Well, actually, that’s exactly what I’m going to do. I’m excited for 30. It may have taken me a few days (and a bit, okay a LOT, of whining to my wife…just ask her, she’ll tell you!) to get to this point, but it’s only logical. Why should I fret over the future when the past has been good to me? This got me thinking even more, not about the future but rather my good fortune and the time I’ve spent behind a camera creating photos that have helped shape my development, not only as a photographer, but as a person as well. I thought, “Why not put together a set of my favorite photographs I’ve ever taken. Instead of being known as the ‘guy who takes pretty pictures,’ let people get to know ‘JP Diroll’ and what motivates him to take the photos he does.” So that’s what we have here – 12 photos that are not necessarily the pinnacle of technique or skill, but ones that are the most significant to me. They are a representation of the driving force behind my work and the cornerstone of my continued development as a photographer, each having a special but unique meaning to me. Looking back at this dozen of photos not only reminds me of how (and why) I started down this path of sharing the world through my eyes, but also pushes me to where I ultimately want to be, both personally and professionally. So I say – bring it on 30, I look forward to what you have in store for my next 30! 12. PARTNERS – Disney plays a big part in my life. My favorite movie ever (not favorite cartoon or Disney movie, my favorite movie) is The Lion King. 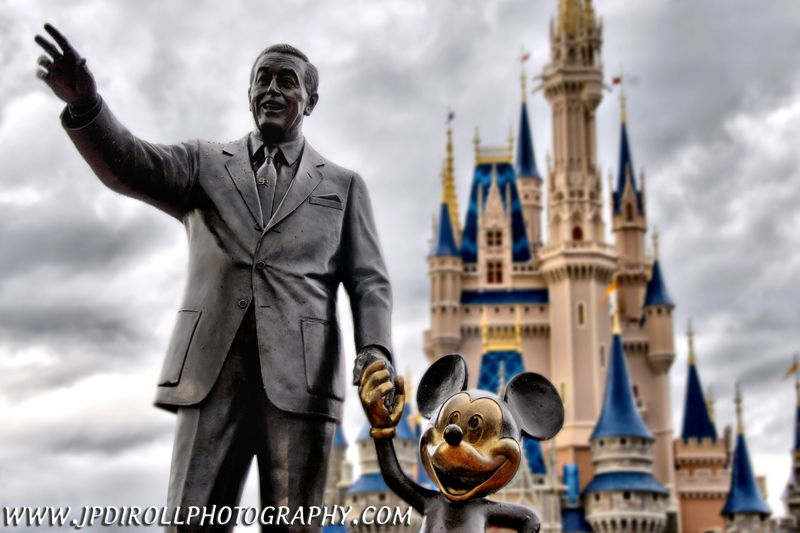 I’ve been to Disney World several times but only once since taking up photography. Lucky for me, my wife loves Disney too…so much so we considered getting married there. It didn’t happen but we are planning a trip this year for our first anniversary! I’ll have my camera in tow, you can count on that. 11. THE POINT – Symbolism is an integral part of my work, whether it be in my compositions, my titles, or the captions I write to accompany each photo. On this morning, the symbolism presented itself in the form of clouds. They were very dynamic but saw it fitting to form a straight light that pointed directly to the skyline. The river created a perfectly reflected complement allowing both to “point” directly at the point. 10. 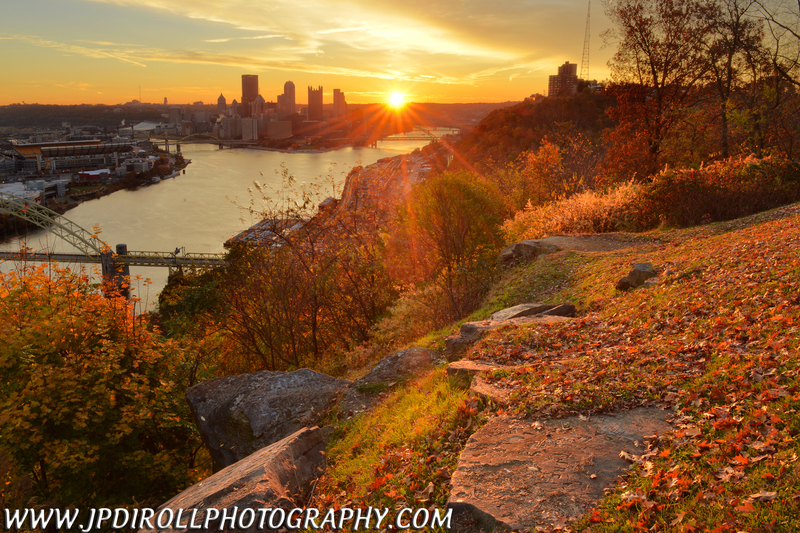 PERSISTENCE – Most people know me as a Pittsburgh photographer, which I primarily am. 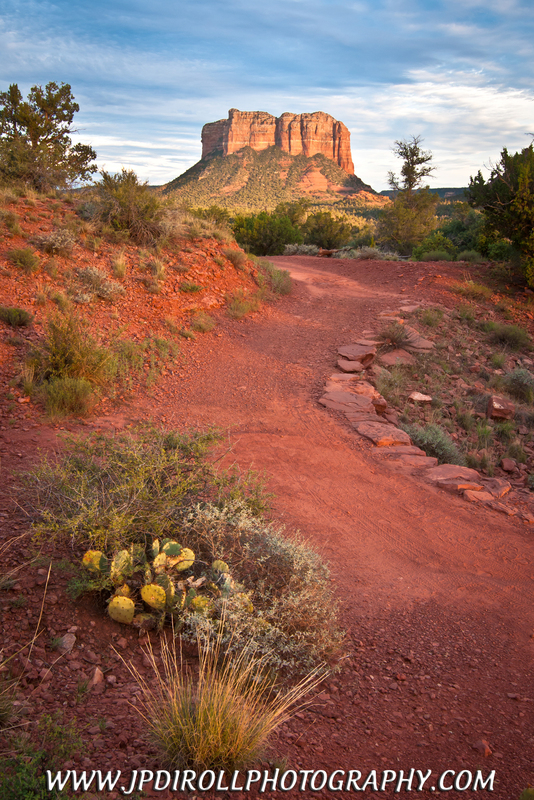 But I also want folks to know I love landscape photography. It’s a completely different set of challenges which require a ton of patience. The beach is not as accessible to me as the skyline of Pittsburgh. I may only have a day or two so I must be vigilant about making it to my destination for sunrise and sunset, otherwise I risk not getting any photos as midday light is generally not good for landscapes. 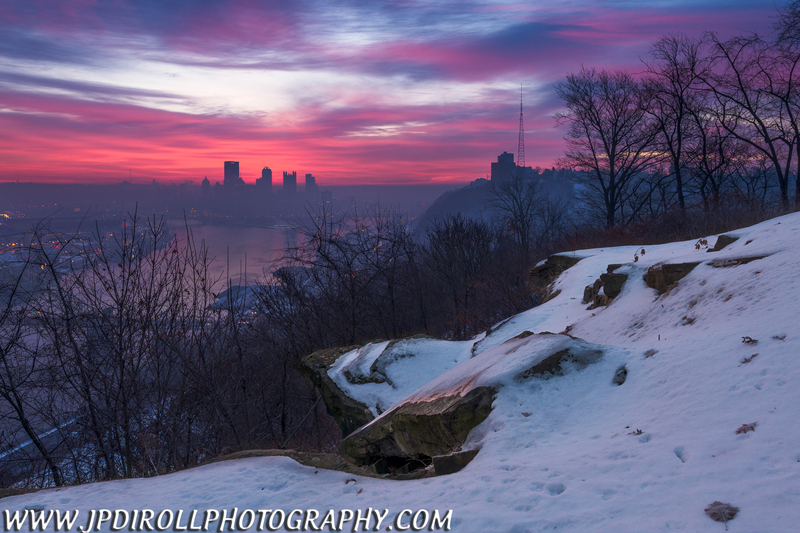 Even sunrises can be a dud, like the two before the one seen here, so I must be persistent. 9. 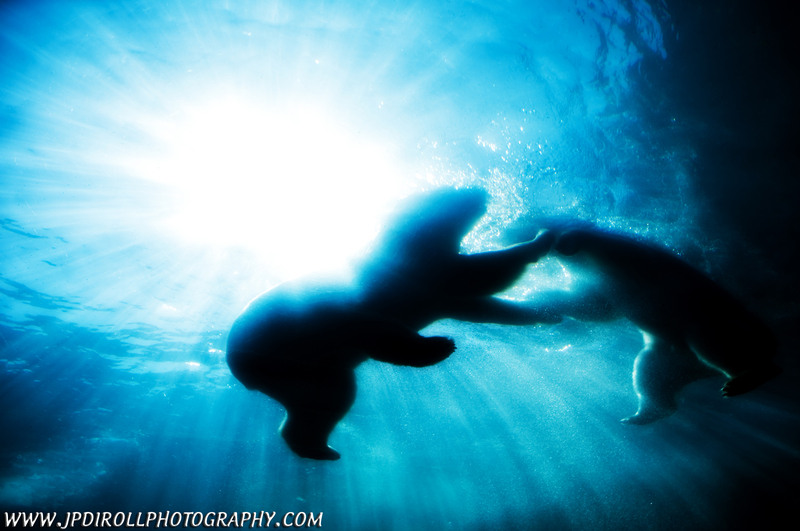 POLAR PAIR – This image of two polar bears dancing in the water at the Pittsburgh Zoo is my first photo to ever place in a national photo contest so naturally it has a place in my countdown. Much like number 10 on the list, this was an exercise in patience and persistence. 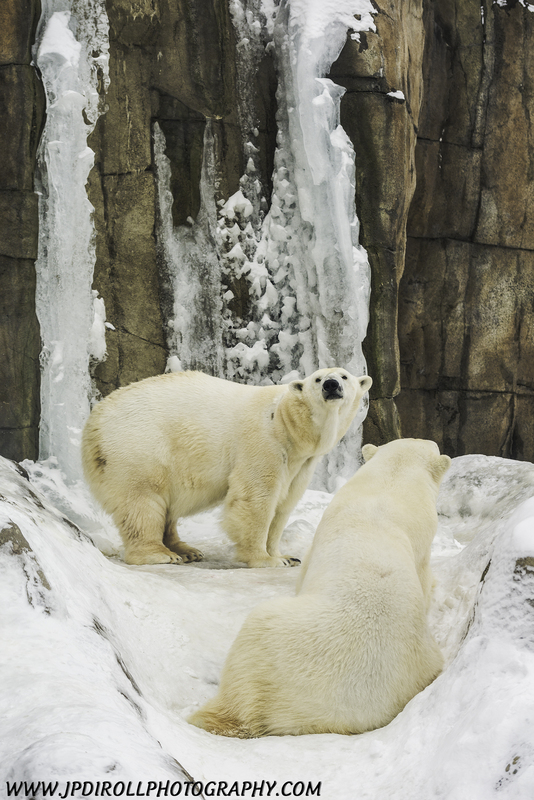 I can’t count the number of hours I spent in the tunnel at the zoo waiting…and waiting…and waiting for the polar bears to jump in the water. Furthermore, I needed good light and a pleasing composition. Catching all three elements proved to be quite a challenge but the patience paid off! 8. 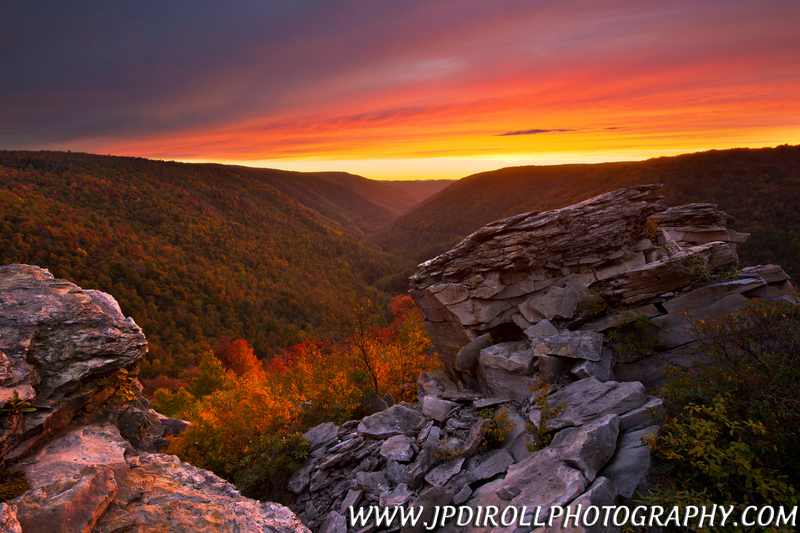 LAST LIGHT AT LINDY – This past October I took my first trip specifically for fall photos. Fall is my favorite time of year as the light is pleasing, the temperature is perfect, and most importantly the landscape is stunning almost anywhere you go. But somehow the season always eludes me. I wasn’t going to let that happen this year. I had the opportunity to participate in a workshop with one of my favorite pro photographers in West Virginia. It was an amazing learning experience and I walked away with a number of keepers, the above being my favorite. 7. LEMONADE – This photo is a representation of dealing with life’s challenges. Last year, just weeks before my wedding, I was laid off from my engineering position. Naturally, I was less than pleased. But with the support of my family and my wife-to-be, I made it through it. Unscathed. I had thought about the jump from engineer to photographer a lot, so this opportunity allowed me to make some lemonade out of the lemons I’d just been handed. 6. 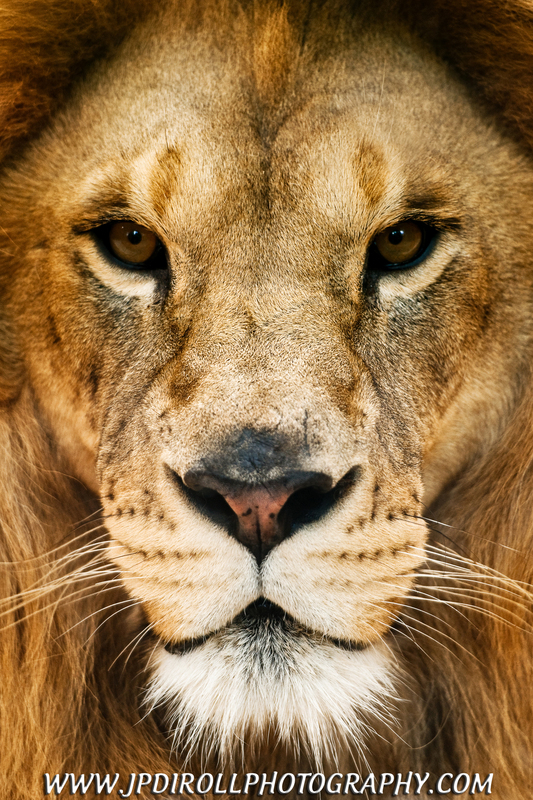 PRIDE – Wildlife – I love it. Specifically big cats. My ultimate photo trip/excursion would be a safari in Africa. But alas, the trip itself would be EXPENSIVE, not to mention the long lenses I’d “have” to buy run a cool $8-10K, so I have to settle for traveling domestically to different zoos. Whenever I go out of town, I try to make it to the local zoo to spend a few hours. 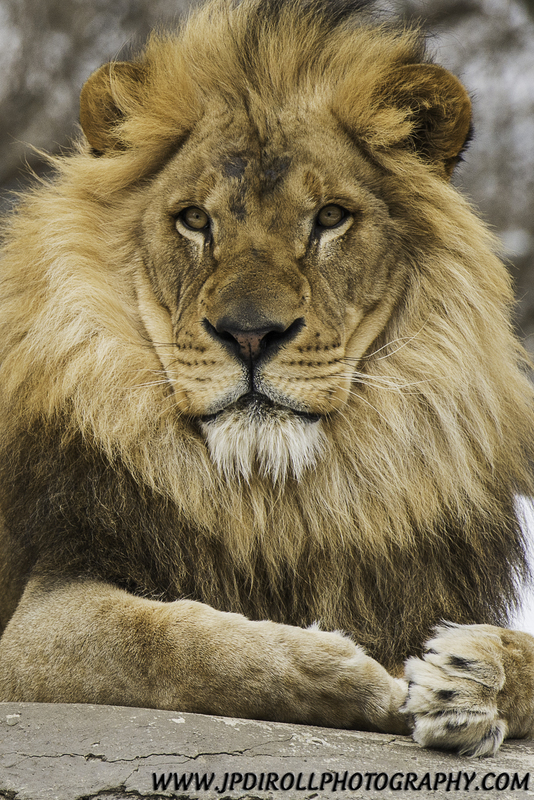 The photo above is Living Treasures about an hour north of PIttsburgh and it is the best lion photo I’ve ever taken. Much closer than I’d get on a safari, so I guess it’s not all bad hanging out at the zoo. 5. 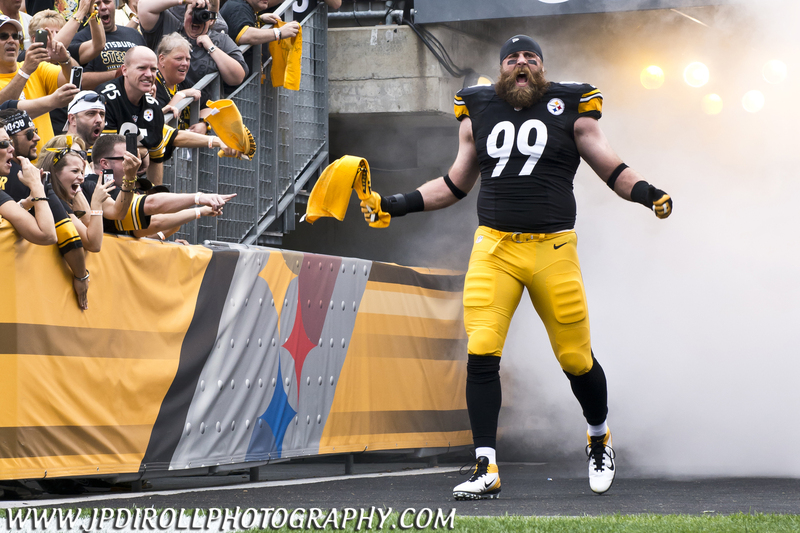 THE BEARD – Most of you know I’m from Pittsburgh so it should be no surprise I’m a die hard Steeler fan. This summer I got the opportunity to be on the field photographing the home opener. The action of the game was great, however the player intros were the best part. And though it wasn’t a great game, or a great season for that matter, it was a dream come true and an experience I won’t soon be forgetting. 4. IRON TRIANGLES – I mentioned earlier I search for symbolism in my photos. You’ll find lots of that here. 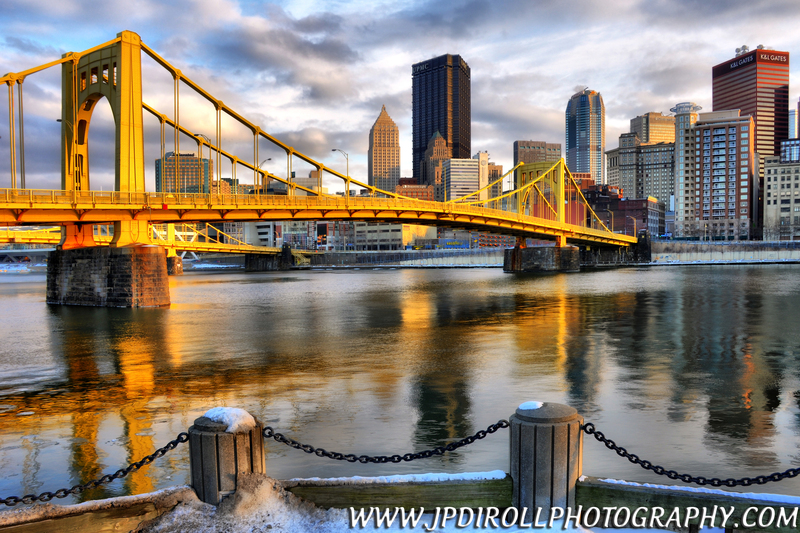 Pittsburgh is a city situated at the confluence of three rivers. The land forms a triangle and the triangle is an important shape in the city, but it is also great in a photograph as it provides balance and stability to the composition. Here, the steel of the Hot Metal Bridge, which is composed of many tiny triangles, forms a larger triangle frame which encases the skyline (situated on a triangle) and more specifically the Steel Building, which is also shaped like a triangle as a symbol of the city. Notice a trend?! 2. 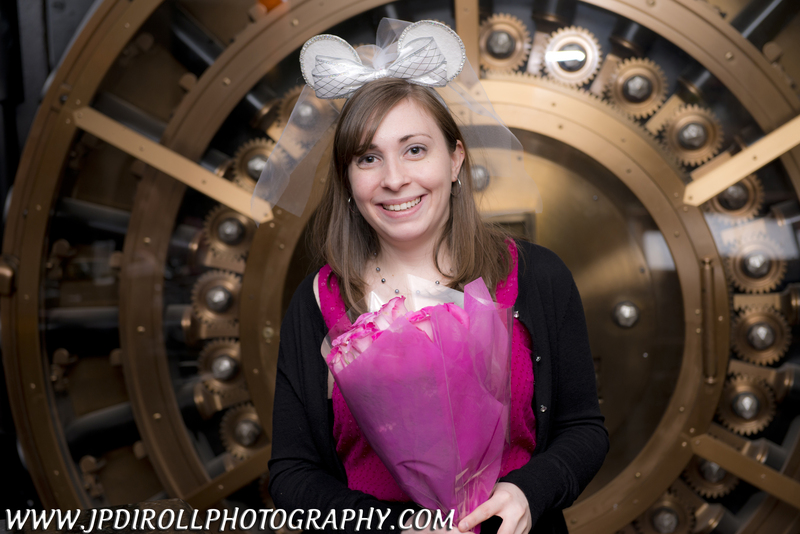 THE BRIDE TO BE – Meet my beautiful bride, Alyssa. She has been unbelievably supportive in my career transition so there is no way I could do my countdown of my favorite images and not include her. She’ll probably kill me for saying this, but she hates when I take her photo. She tenses up and gets a bit nervous. But this photo, the day of her bridal shower, just screams happiness to me. Maybe because she knows who she’s about to marry 😉 Just kidding – I’m the lucky one! 1. WINTER’S LIGHT – The three person panel of judges including me, myself, and yours truly had no trouble making this a unanimous number one. This is the image that started it all for me. 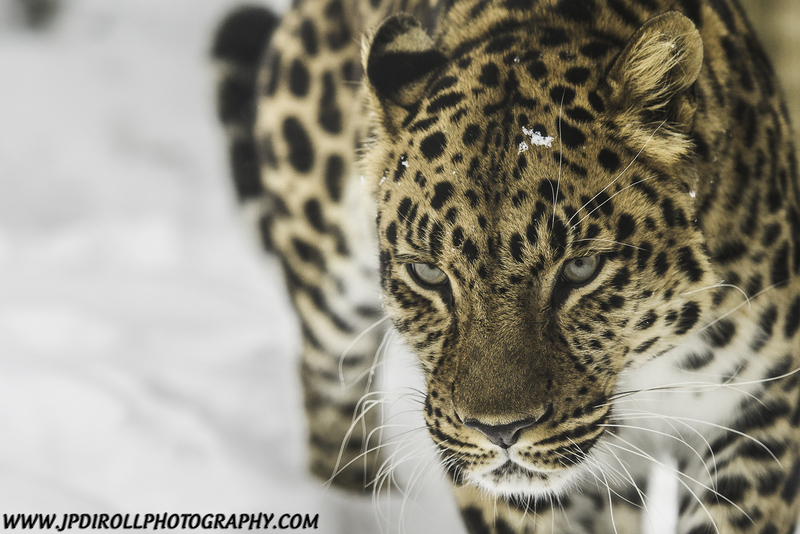 It was my first MetalPrint and the photo that started to get me noticed. It is a clear favorite of mine and always will be.